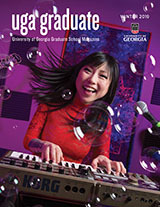 Applicants requesting Georgia residence status for the purpose of paying in-state fees must complete the Application for Georgia Residence Status form contained in the admission application. Non-immigrant international students holding traditional student visas for the purpose of studying in the United States are not eligible to be classified as Georgia residents for tuition purposes. For additional information about in-state classification for tuition see the Registrar’s website.